20-year-old Janelle McCarthy, otherwise known as Hoopjah on Instagram and Youtube, is a flow artist who dances with a hula hoop in the most mesmerizing ways. 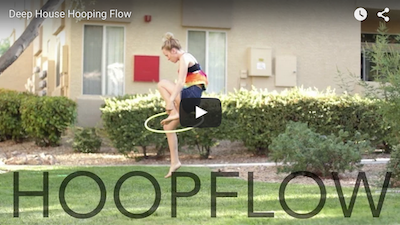 With only four months since she first picked up a hula hoop and started posting videos on Instagram, she’s gained a following of over 3,500 hoopers and flow artists alike which is growing every day. She recently started a Youtube channel for hooping videos and tutorials at the request of her followers. Subscribe to her YouTube channel to see more of her and her bright yellow hoop and to learn some of her awesome hooping moves. Dumpster Diving At A Florida Walmart Just To Get Free Groceries, This Is MESSED UP!